I started the GAPS diet, kind of, loosely, earlier this year in a quest to heal my gut and reverse my food allergies. It's going pretty well, but things have gotten better since a friend of mine started the diet, too. We had a veggie fermenting party on Saturday! Lacto-fermented foods provide the most healing, beneficial probiotic you could possibly treat your saddened/inflamed gut with. Two other friends thought this sounded great, so they came over as well, and the four of us proceeded to make sour pickles, rainbow kimchi, two types of sauerkraut, and kombucha! We discussed so many things- the various ways to weigh the food down below the brine, to create a gasket that lets your veggies breath without getting nasty, how many days to go, etc. 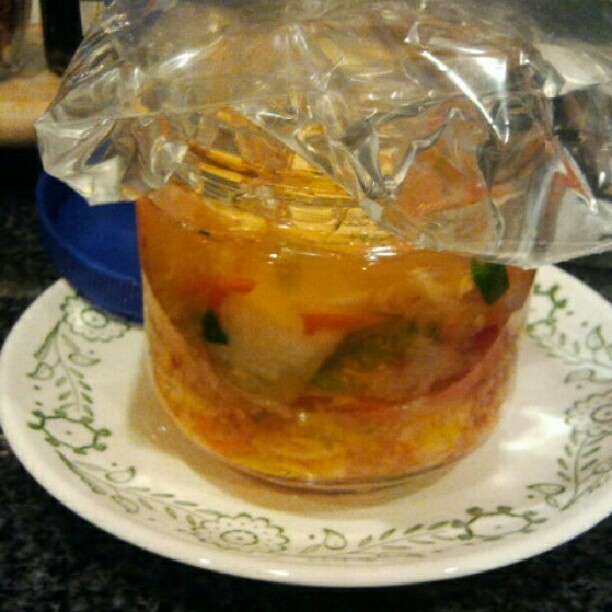 If you have a gut issue, then I highly recommend you start adding some fermented foods to your diet! Start with just a teaspoon of fermented pickle or saurkraut juice in some broth per day. I have had incredibly noticeable results, and mostly within minutes of eating it. If you can't find the time to ferment some veggies yourself, then go by any of the brine-based pickled foods from Bubbies! Don't bother at all with anything on the dry shelf that has been heat processed or made with vinegar or any preservatives. 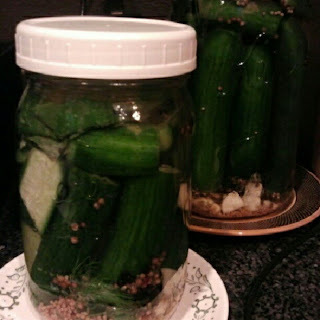 You want to see the cloudy brine--proof that the pickles are naturally fermented.